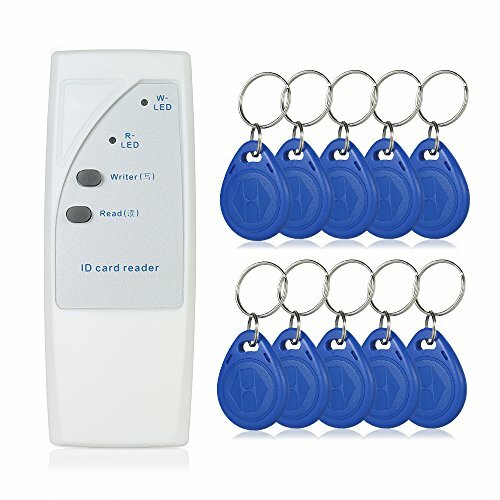 Reader/Writer/Copy/Clone 125khz HID cards OR tags. button ( Write Button ). The Handheld 125khz Rfid Duplicator ,it can read EM4100,EM4200,Tk4100 chip cards and can use EM4305/T5577 card to copy their data,after copy,the device can read EM4305/T5577 card ,it can using for access control management.it is very easy to operate. t applies to access control, hotel locks, staff attendance and school campus access and payment control, identification and security systems, parking lot entry and payment, social security management, transportation payment, municipal and ancillary service payment.